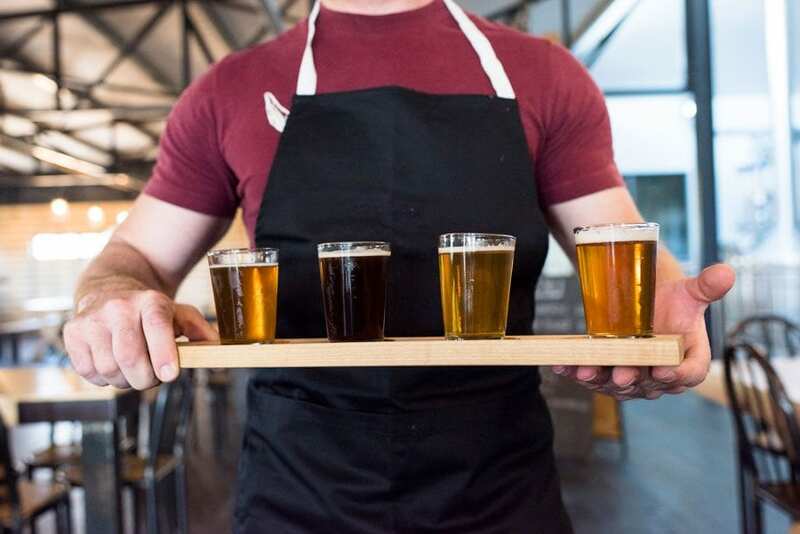 Craft Beer, in its’ simplistic form, includes barley malt, hops, water and yeast in the brewing process with each of these four ingredients playing a very important roll in the final product. To brew quality great tasting craft beer, breweries must use the best ingredients possible in their brewing process. Craft brewing malt is the backbone of almost every beer brewed these days and provides complex carbohydrates and sugars needed for fermentation. Craft malt is barley that’s immersed in water starting the germination process of the barley sprouting to initiate the growing phase. Once it starts to sprout, it’s removed from the water and dried which stops it from growing. It can then be left at that stage (pale malt) or can be roasted at a higher temperature for different lengths of time to produce a wide range of flavors and different colors of each of these specialty malts. The terroir and the type of barley used in the malting process will also affect the flavor of the malt. Other grains such as wheat and rye can also go through the process. The brewer, by blending pale and different specialty malts, can produce an infinite range of flavors and colors in the finished beer. The resulting beer can range from light straw in color to black with the flavors going from bready to caramel and even dark chocolate roasted coffee notes. Barley is grown in different parts of the United States, Canada and the world and there are numerous malt production facilities that process barley into malt. Some of these malting companies are large, but new craft focused malting houses are appearing that are very hands on and produce amazing small-batch malts. The next time you enjoy a craft beer take the time to really taste the complexities of malt used to brew by the brewer. Cheers!